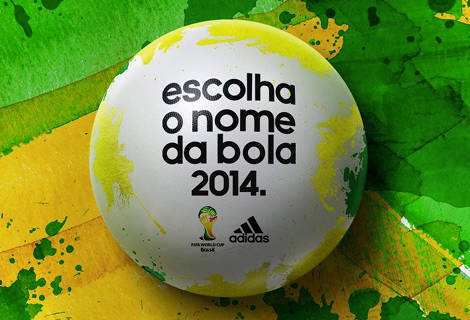 Whilst it hardly feels like any time at all since the World Cup in South Africa, qualification for Brazil 2014 is just around the corner – and adidas want to kick things off in style by having the fans pick the name for the official World Cup match ball. – Carnavalesca, a word describing someone who plans or participates in the country’s raucous carnival celebrations. – Bossa Nova, a reference to the famous samba-jazz music genre popularised in Rio de Janeiro in the late 1950s and 1960s. 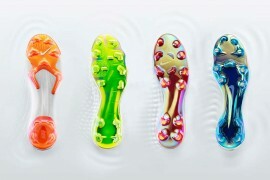 – Brazuca, playful slang word for native Brazilians that Adidas say sums up the country’s irreverence. 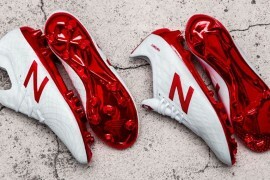 Interestingly, adidas have made sure than the three Portuguese words available are all the feminine forms – conforming to the Brazilian mindset that a football is a woman that must be looked after on the pitch, and defended passionately. adidas have been naming their international competition footballs since 1970’s Telstar made it’s debut in Mexico. Since then, names like Tango, Azteca, Teamgeist and Jabulani have all gone on to live (mostly) fondly in the memories of fans. Recently, though, adidas have opted for people-power when it comes to naming their footballs, with the London 2012 ‘Albert’ named by a fan, and the Katlego 2013 Africa Cup of Nations ball named by African football fans over a three-week voting period. Some corners of the Brazilian sports community have already expressed their unhappiness – including former Brazilian international Romario – that ‘Gorduchinha’ isn’t in the running. 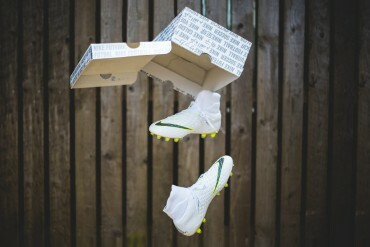 The word – which means ‘little chubby’ – might sound a little ridiculous to the uninitiated, but it’s a nickname for a football that was coined by legendary commentator and political figure Osmar Santos, who coined the phrase ‘Pimba Na Gorduchinha!’ – or, to paraphrase – ‘Bang in the Cuhbby!’ when scoring to particularly good goal, referring to the roundness of the ball. Santos was left brain-damaged after being hit by a drunk-driver, and many Brazilian soccer fans felt that officially deeming the match ball of a ‘home’ World Cup would be the ultimate way to honour the commentator’s contribution to the sport, as well is bring the word into the international sporting lexicon, so started a campaign. 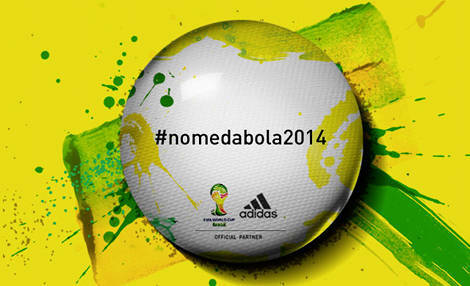 If you want to cast your vote for any of the three competing names, head to: http://www.adidas.com.br/nome-da-bola-2014/ – best of all, there’s no registration required so it only takes a jiffy. Which 2014 World Cup Ball name did you vote for? Let us know with a comment! Bossa Nova sounds like it would flow better. I dont know Porteguese but I do know a decent amoun about Spanish and it sounds like for a soccer ball it would flow better. i like it “BRAZUCA”. Representative of BRAZIL. bossa nova sounds nice, but i suppose most brazilians dont listen to it anymore. 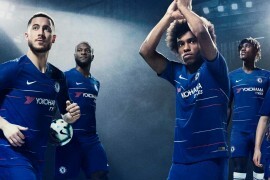 as for carnavalesca and gorduchinha, i think either would be great, but would be hard to pronounce for people who dont know romance languages (which is why adidas didnt even want the gorduchinha name, they want bigger sales and wont give it such a brazilian name, just see the fevernova case). i suppose brazuca would be great, and the brazilian favorite after gorduchinha, but it seems too obvious. my vote would be for carnavalesca, although it will prbbly be bossa nova since its a more western name and thus adidas will prbbly rig the polls for it.